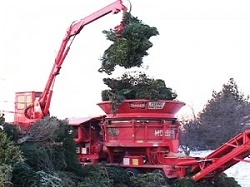 Seattle, WA - Residents can compost Christmas trees and other holiday greens free of charge. each collection day. Flocked and plastic trees or wreaths aren't recyclable and will be charged as extra garbage. At apartments: One tree may be placed next to each food and yard waste cart at no extra charge each collection day. At transfer stations: Clean Christmas trees are accepted for free. After January 31st, regular fees apply (see hours and locations). Trees must be less than 8-feet tall, Trunks can't be more than 4-inches in diameter, Remove any metal, lights, ornaments, or other decorative objects. Limit 3 trees per vehicle Click here for locations, updated information and more details. Single-family, duplex and mobile home park residents: Place tree and wreath out for collection on your GARBAGE DAY by 6 AM. Multifamily residents: Property owner/manager must call Waste Management, 800-592-9995 to schedule the date and place of collection on the property. Multifamily residents: Property owner/manager must call Republic Services, 206-682-9735 to schedule the date and place of collection on the property. Trees must be cut into 3 foot lengths or smaller. Tree trunks should be no wider than 4" in diameter and weigh no more than 65 pounds each piece. Remove all garland, tinsel and ornaments. No flocked trees, artificial trees or other yard debris will be accepted. Compostables service not required to participate. Limit 1 tree per household. QUESTIONS: Email recycling@auburnwa.gov or call 253-931-3038, option #2. Holiday Light Recycling: Don't throw away those holiday lights! Recycle them from early December through late January. View a list of participating schools and businesses (PDF) . Accepted: ALL types of non-working, working, broken & unwanted holiday light strands and extension cords. Bellevue, WA - Easy ways to recycle your Christmas tree: If you're wondering how to dispose of the Christmas tree after the holidays, the Bellevue Utilities Department has the answers. Please do not dump Christmas trees in or near streams, as they can block water flow and cause flooding. Residents with yard debris service can put Christmas trees at the curb for pickup on their regular collection day: Trees must be free of all tinsel, ornaments and metal hangers to be accepted. Cut the tree into four-foot lengths or less and tie into bundles less than two-feet wide. Use biodegradable string or twine -- no nylon, plastic or other synthetic materials. Set the cut-up tree next to your yard debris cart. Flocked trees (with tinsel, ornaments, etc.) should be cut up and put in garbage. If you have questions, please call Allied Waste at 425-452-4762. At the Curb: Single-family residents can put Christmas trees and other greens out on your regular collection day. Cut trees into sections, four feet long or shorter, with branches trimmed to less than four feet to fit into the collection trucks. Bundle each section with twine (not plastic). Decorated, flocked and plastic trees are not recyclable, and will be charged as extra garbage. Questions: Contact Republic Services at 425-452-4762 or RepublicBellevue.com. Pacific Topsoils, 1733 127th Ave. NE, will accept trees. There is a $3 fee per tree. Call 800-884-7645 for details. Boy Scout Troop 600 will collect trees from the area between Lake Washington and I-405 and from I-90 north to 520, plus Yarrow Point, Hunts Point and Evergreen Point. Or you can take your tree to Clyde Hill Elementary from 8 a.m. to 3 p.m. Sunday, Jan. 7. A $10 donation is requested for pickup or drop off. Call 206-748-1656 to schedule a pickup. Boy Scout Troop 662 will collect trees on Sunday, December 31 and Saturday, Jan. 5, 2019 in Bellevue: north of I-90 (areas east of I-405) and south of I-90 (all areas). To schedule a pickup, send an e-mail to Troop 662 Tree Pickup. Include a contact name, phone number and address, with unit number if it's an apartment. A $10 donation is requested. Details about when tree will be picked up and preparation will be e-mailed. Curbside Collection: Clark County, Vancouver, Ridgefield, Camas, Battle Ground, Yacolt, and Washougal yard debris curbside recycling customers may set out tree (5 feet or less) in or next to their yard debris cart on regular yard debris collection day. The yard debris cart should be placed next to the tree. If tree is in addition to the 96-gallon limit of yard debris, a fee of $2.67 to $3.25 will be charged depending on your collection area. Before recycling, remove all lights, wire, tinsel, ornaments and other materials that are not a part of the original tree. Wreaths and swags can also be recycled, but take them off of the frames and wires. Central Transfer and Recycling Center, 11034 NE 117th Avenue Vancouver WA. (360) 256-8482. $1 each (limit three trees). City Bark, 2419 NE Andresen Road Vancouver, WA . (360) 253-8461. No charge. H&H Wood Recyclers, 8401 NE 117th Avenue, Vancouver, WA. (360) 892-2805. $1 each. McFarlane's Bark, 8806 NE 117th Avenue, Vancouver, WA. (360) 892-6125. $3 each. Triangle Resources, 612 SE Union, Camas, WA. (360) 834-7253. $2 each. Washougal Transfer Station, 4020 South Grant St., Washougal, WA. (360) 835-2500. $1 each (limit three trees). West Van Materials Recovery Center, 6601 NW Old Lower River Road, Vancouver, WA. (360)-737-1727. $1 each (limit three trees). For more information call Clark County Environmental Services, Solid Waste Program, (360) 397-2121 ext. 4352. Note: If 10,000 trees were recycled we would save the weight of a blue whale in waste from entering landfills. King County, WA has several options for recycling your Christmas tree. By recycling your Christmas tree, you'll give it a new life as wood chips or compost! And, you'll help reduce greenhouse gas emissions that contribute to climate change . Curbside pickup and City-sponsored events: Place your tree on the curb for collection with your regular yard waste. Select your city from the menu on this page to contact your hauler for details or to visit your City's website for tree-cycling events. Curbside pickup : Place your tree on the curb for collection with your regular yard waste. Tree-Cycling events : Take your tree to your city's collection event. : Make a donation to a local community group. Lewis County, WA - Recycle your Christmas trees, holiday lights and Styrofoam at the Central Transfer Station, 1411 S. Tower Ave., Centralia, beginning Dec. 26, 2016 through Jan. 11, 2017; 10 a.m. to 4 p.m., Sunday-Friday, and 9 a.m. to 4 p.m., Saturdays. Christmas Trees Please remove all decorations and tinsel from trees. No flocked or artificial trees will be accepted. Flocked, artificial or decorated trees may be disposed of at the transfer station where regular fees will be charged ($10 minimum for 200 pounds or less). Wreaths must be free of ribbon, wire and decorations. No trees or wreaths from commercial operations will be accepted. Styrofoam: Styrofoam dropped off during the special recycling days must be clean, dry and free of all tape and labels. This event is unable to accept foil-covered Styrofoam, spray-in Styrofoam, Insta-Pak foam, blue or pink installation foam, hot tub covers or Styrofoam peanuts. (Please find re-use opportunities for peanuts at local shipping compies). For more information on the Christmas tree, holiday lights and Styrofoam recycling days, please go to the link below, or call 360-740-1452, 360-740-1216 or 1-800-749-5980. For more information download the flyer here . Tree Chipping: The City's annual holiday tree chipping service is offered through Monday, January 6 for MI Residents only. Undecorated holiday trees can be brought to the City Maintenance Shop at 9601 SE 36th Street during daylight hours where staff will chip the tree and re-purpose it for use in City parks, trails, and open spaces. For safety, leave your tree in the designated location only. When dropping off your holiday tree for chipping: Remove tree stands, Remove all ornaments and lights, Deliver your tree only during daylight hours. Note: No flocked or artificial trees will be accepted. Note: No garbage or other yard waste will be accepted. For more information, contact the City's Maintenance Department at (206) 275-7608. Pierce County, WA - Residents who subscribe to yard waste collection service can treecycle their unflocked Christmas tree curbside. Other residents can recycle trees free of charge if they self-haul totransfer stations in Pierce County . Flocked trees cannot be recycled and must be disposed of as garbage. Recycle Your Christmas Tree: Pierce County residents who subscribe to yard waste collection service can treecycle their unflocked Christmas tree curbside. Other residents can recycle trees free of charge if they self-haul to transfer stations in Pierce County. Flocked trees cannot be recycled and must be disposed of as garbage. The cities of Milton, Orting, Tacoma, Puyallup and Ruston have special collection programs for households within their city limits. Contact your city hall or local garbage hauler for more details. What Happens to the Trees Collected: All trees collected become Cascade Compost, a beneficial soil amendment that is popular with home and commercial gardeners. Treecycling helps save valuable landfill space, while the compost created enhances soil quality, saves water and reduces reliance on chemical fertilizers. Renton, WA - Renton residents can easily recycle holiday trees in one of the following ways. Trees may be put out for weekly yard waste pickup by first removing all hooks, ornaments, tinsel and stands. Branches and trunk should be cut into lengths of four feet or less, and then bundled with natural fiber or string. No artificial, fireproofed or flocked trees will be accepted. More information on recycling your holiday tree can be found at King County Solid Waste's tree recycling site or by calling King County Solid Waste at 206-296-4466. For more information, call the City of Renton Recycling Coordinator at 425-430-7396 or 425-430-7397. Also see King County above. If you have a flocked, tinseled or an artificial tree, and you have Recology CleanScapes curbside garbage collection, cut it to fit inside your garbage cart for free collection. If the tree is taller than 4 feet, cut it into 4 ft. sections, and put them next to your garbage cart for a collection cost of $4.56. Recycle your tree for a fee at Pacific Topsoils in North Seattle (1212 N 107th St, Seattle) or Kenmore (7500 NE 175th St, Kenmore). The City of Shoreline does not endorse or guarantee any services. For questions, contact Tina Kendall, Environmental Programs Assistant, at (206) 801-2450 or tkendall@shorelinewa.gov . 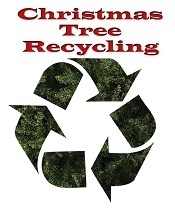 Vancouver, WA - Christmas Tree recycling: Many options exist for recycling. 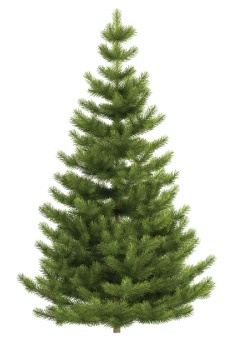 In all cases, please remove tinsel, lights, ornaments, wire, stands and other materials that are not part of the tree. Boy Scouts often do a curbside tree collection in early January. Watch for a door-hanger providing event details. Curbside yard debris subscribers can cut down their Christmas tree to fit in their yard debris cart. If the cart is already full, subscribers can place their Christmas tree alongside their cart and have it collected as a yard debris extra for an additional fee (approx. $3) in the City of Vancouver. Garbage collectors will pick up flocked or artificial trees, up to 6 feet tall, for a fee of $6.50 in the City of Vancouver. Rates vary in other parts of Clark County. Christmas trees can also be recycled for a fee at the transfer stations, H & H Wood Recyclers, City Bark and McFarlane's Bark. Prices vary, but they are generally in the $1 to $5 range. Central Transfer Recycling, 11034 N.E. 117th Ave., (360) 256-8482. $1 per tree, up to three trees. City Bark, 2419 N.E. Andresen Road, (360) 253-8461. No charge. H&H Wood Recyclers, 8401 N.E. 117th Ave., (360) 892-2805. $1 per tree. McFarlane's Bark, 8806 N.E. 117th Ave., (360) 892-6125. $3 per tree. Triangle Resources, 612 S.E. Union St., Camas, (360) 834-7253. $2 per tree. Washougal Transfer Station, 4020 S. Grant St., (360) 835-2500. $1 per tree, up to three trees. West Van Materials Center, 6601 N.W. Old Lower River Road, (360) 737-1727. $1 per tree, up to three trees. In addition to the various options shown above, The new RecycleRight App for smart phones and tablets is available for free through the Apple iTunes or GooglePlay stores. To access it fast, visit the City's website and click on your app store button. A web-version of the Recycling A-Z wizard is also available there, making it easy for everyone to use. And a variety of nonprofit organizations work to collect and recycle cut Christmas trees for a nominal fee. For more information on the RecycleRight App, Christmas tree recycling and other ways to reuse, reduce and recycle, call 360-619-4120 or visit cityofvancouver.us . Broken, Tangled or Old Holiday Lights - Please do not place them in your recycling cart; they will tangle on sorting machinery at the recycling facility and create a hazard for workers. Instead, recycle them at Earth Friendly Recycling, E H Metal Recycling and at the Lacamas Lake Lowes. Spread cheer. Many local thrift stores will accept lights that are in good condition. See Recycling A-Z for more information.